It’s been a pretty good couple of weeks. 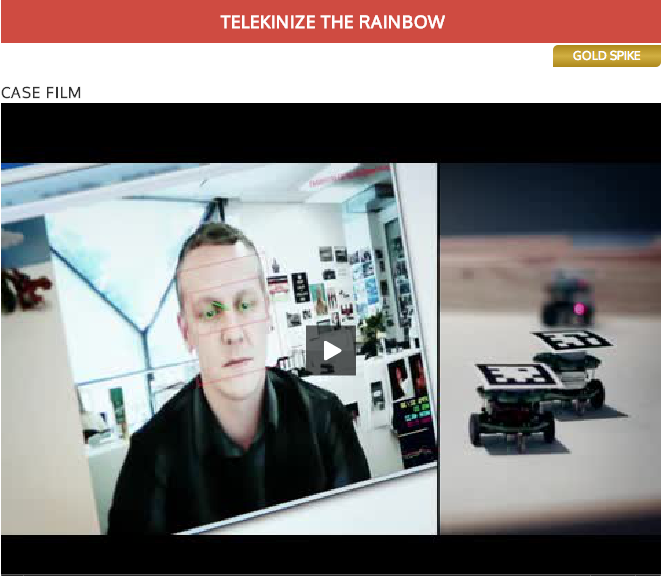 First off (Audi) Land of quattro was picked up by Google Think, showcasing it as “creative genius with digital innovation”, and now Skittles ‘Telekinize the Rainbow‘ picked up 2 gold’s for Best Use of Digital, 2 silvers and a bronze at the Spikes Asia awards. Well done Ben Cai, Ben Clare, Anna, Luke, Dave, Paul N and all the crew. To see the winners list in full, click here.